Indian Stock Market was trading marginally lower at 11.55 am IST on Monday. Among major gainers in today's session were Bharti Airtel, Ranbaxy and Cipla. Asian markets were negative with Hang Seng down by 0.39%, Straits Times down by 0.2% and Nikkei 225 marginally positive by 14 points. 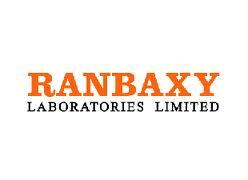 Pharmaceutical major Ranbaxy Labs touched 52-week high of Rs 562. The stock is currently trading at Rs 560. Rahul Mohindar of viratechindia. com has suggested target of Rs 582 for Ranbaxy Labs in his recommendation last week. HSBC has recently revealed that Indian pharmaceutical companies will continue to enjoy higher valuations. HSBC raised its target for Sun Pharma from Rs 670 to Rs 770. Sun Pharma was trading at Rs 666 on NSE today. The stock is hovering around its 52-week high of Rs 689. Another pharmaceutical counter Cipla touched 52-week high in today's trading session. The Stock is currently trading at its 52-week high of Rs 371.95 on NSE with a volume of 443 thousand shares by 11.59 am IST. Among major losers in today's session were Jindal Stee, Axis Bank, PNB and Bank of Baroda. Banking counters are witnessing pressure and PSU banks are among major losers. Private sector players are also facing decline in valuations, but the decline is less compared to government owned banks. The markets have seen range-bound trade during early session. With opening of European markets, we can expect more action.